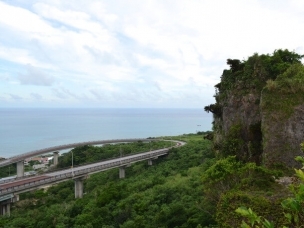 What is now Taikenohkoku-Murasakimura (体験王国むら咲むら)once served as the set for 1993 drama, “Wind of Ryukyu” (琉球の風)(starring Mr. Noriyuki Higashiyama). 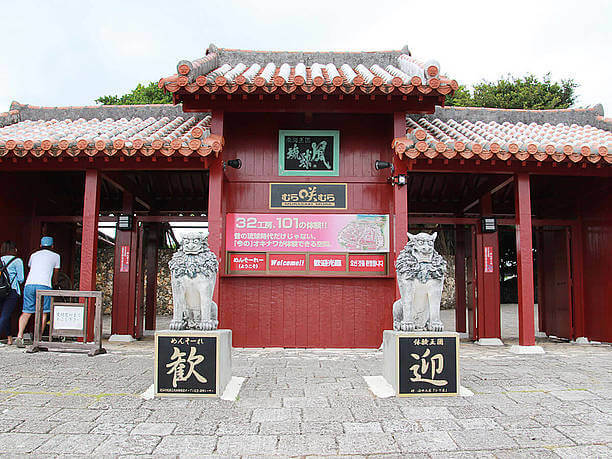 This Okinawan tourist destination is proud of its place in Okinawa’s history. With more than 100 things to do here, doing everything in one day is almost impossible. 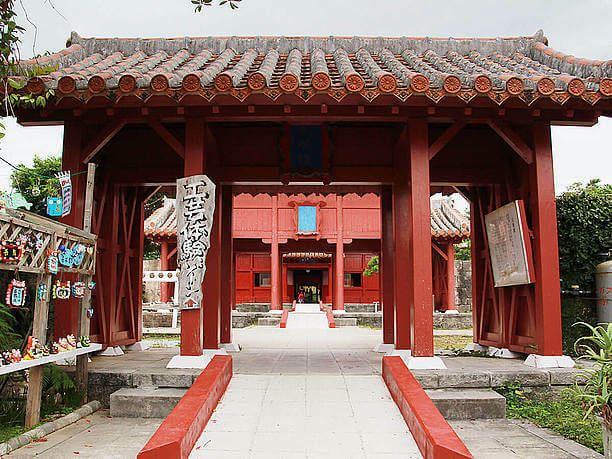 Some things like the marine sports and Okinawan martial arts require advanced registration. 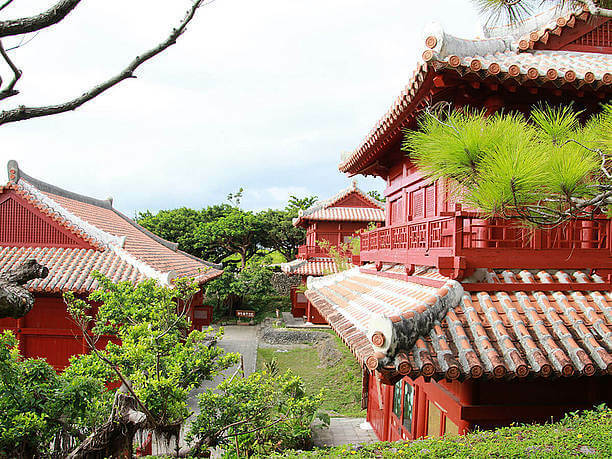 The buildings are reproductions designed to look like buildings from the Ryukyu Kingdom era. 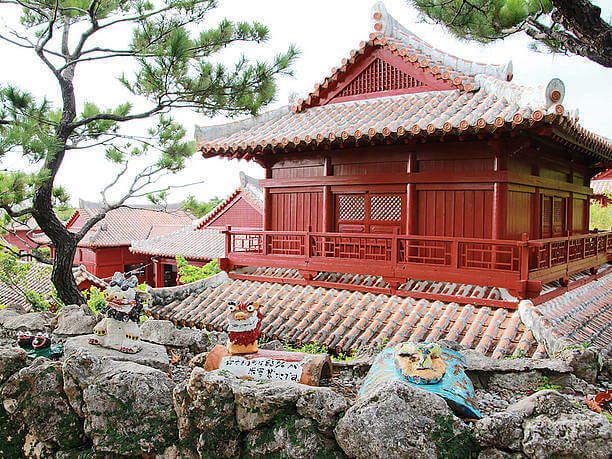 Most notably the revival of Ryukyu red roof tiles and red-painted buildings. As you enter the facility you are greeted by many Shisa! 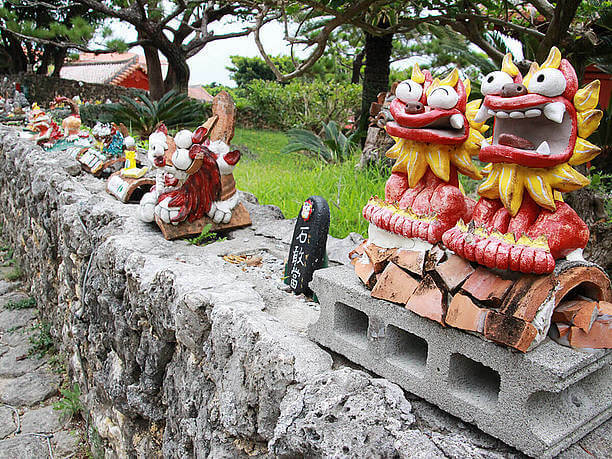 The Shisa lined up on the stone wall are hard to miss as you enter. There are more than 100 of them lined up here.While walking around the facility you are sure to run into even more. It is rare to see so many Shisa in one place, so this is a good photo opportunity. I’m sure you can find one with a face that you find very interesting. 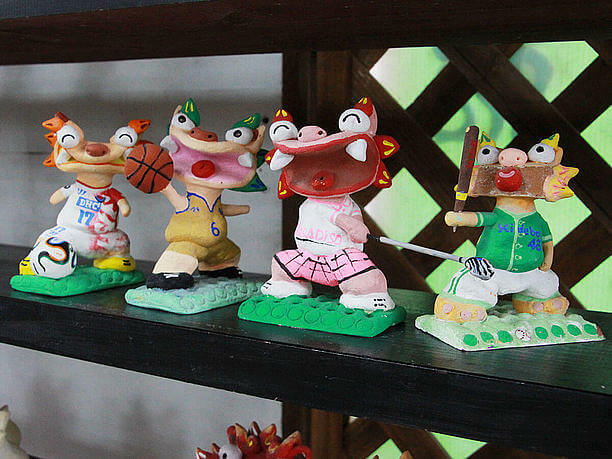 These Shisa that you see around the grounds have been produced in the Shisa workshop in the “Hidebo”(ひで房) located here in the facility. 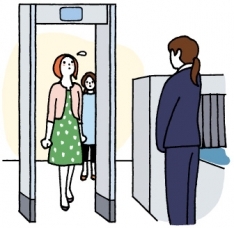 Obviously, the advertising is effective because this popular workshop is always busy. Popular plaster Shisa! Growing in popularity is the “Hidebo” workshop. 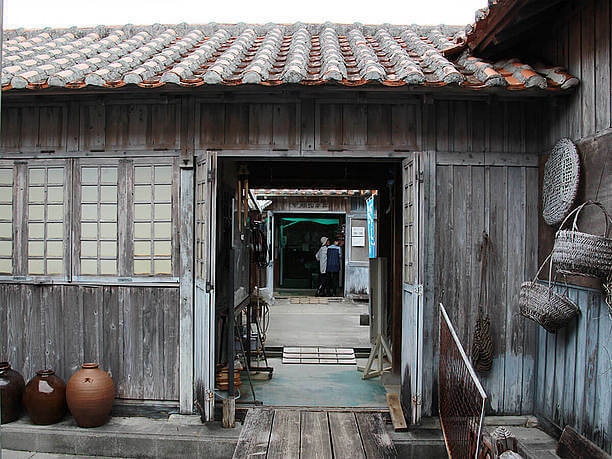 While exploring the 14 buildings of the facility don’t miss the Shisa workshop space,”Hidebo”. 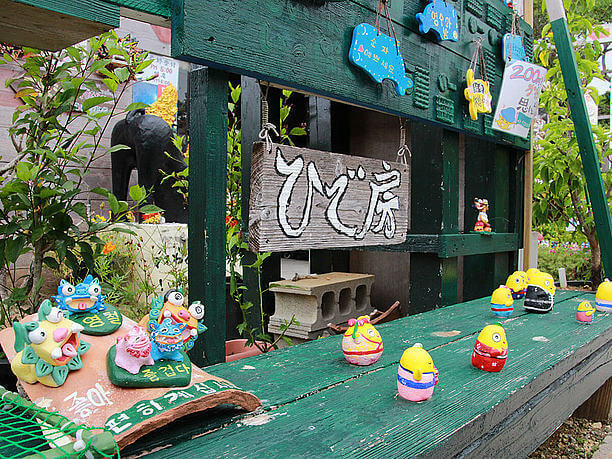 If you find the Shisa and pottery at the entrance of the building you have definitely found “Hidebo”. On the facility’s map, it is identified as the number “B-02”. A popular focus of the experience is that what you make you can take home as a souvenir. 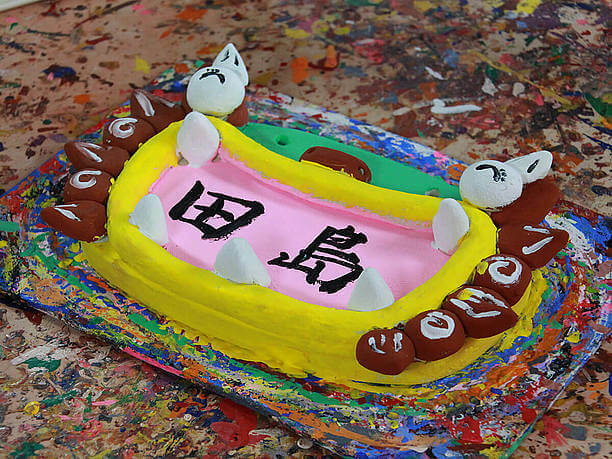 Painting the plaster Shisa is most popular. When you go into the studio you can see why it is so popular! 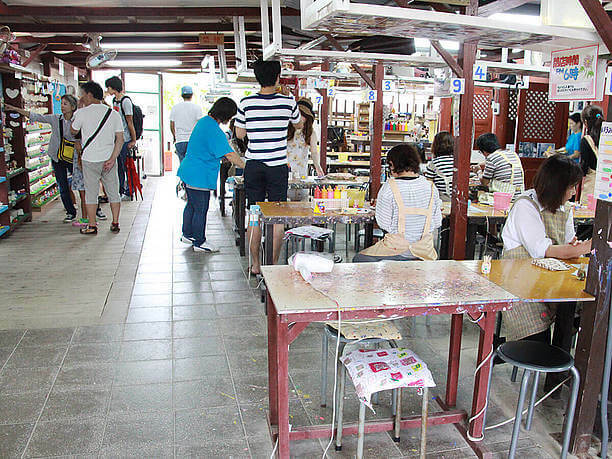 There are usually many families complete with young children in the workshop. All having a wonderful time. There are shelves on the wall crammed with plaster Shisas that are ready to be painted. Choose from the more than 50 different shapes and poses the one that looks best to you. They have things like a golfer with golf clubs made of toothpicks. These sports figures are obviously more of a challenge to paint. But if you do a good job painting one you will have a souvenir that you will be proud to take home. And if you decorate your home with it, you will smile every time you think about the experience. Scenes of visitors actual experience. Looking around the store this colorful plate caught my eye. In one of the families, I was watching, a dad was carefully painting the name “Tajima” on this plate. It appears that Tajima-san had created this work of art. 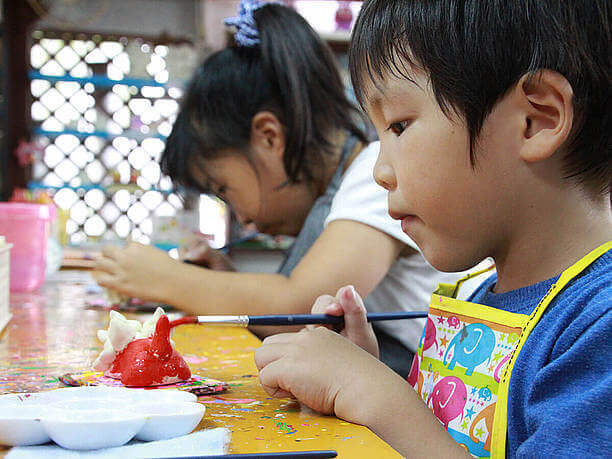 Next to Tajima’s family, 4-year-old Haruna is having her own plaster Shisa experience. Haruna’s older sister can have an enjoyable experience even while small children around her struggle with their painting. 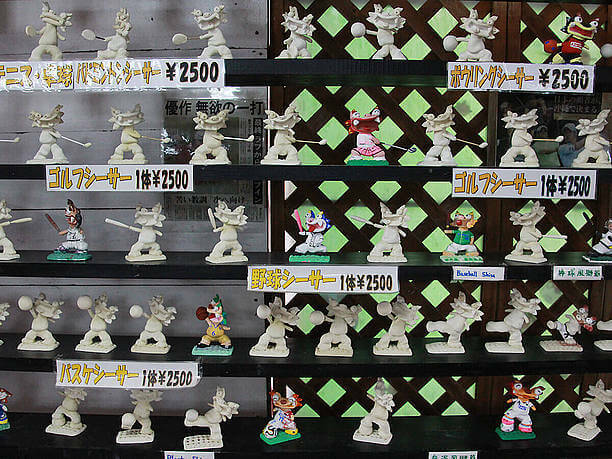 The reason this experience is so popular is because it starts by selecting a plaster Shisa that you would eventually take home as a souvenir. Examples of fun conversation during this experience that become valuable memories. Blowing in the breeze, the “Delicious Zenzai” flag was attracting attention. The brown sugar factory “Kunindaya”(クニンダ屋) which serves to manufacture and sell brown sugar also provides a sugar making experience and is a good rest area. 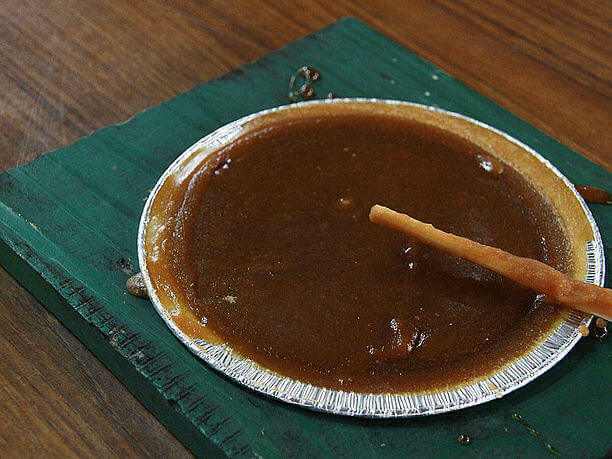 While it is a small brown sugar factory, it does the whole process of making sugar, starting with squeezing the liquid sugar out of the cane with a machine. 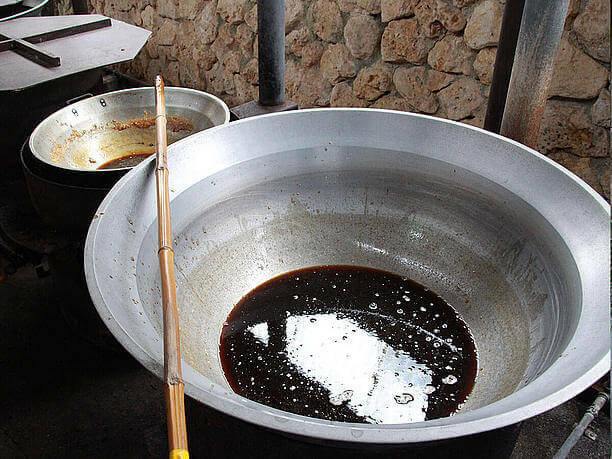 These are the simmering pots that are used to heat up and solidify the sugar. You can experience the work of stirring the hot brown sugar on a silver plate until it hardens. It will harden in about 5 minutes. Even small children can experience this sweet process. 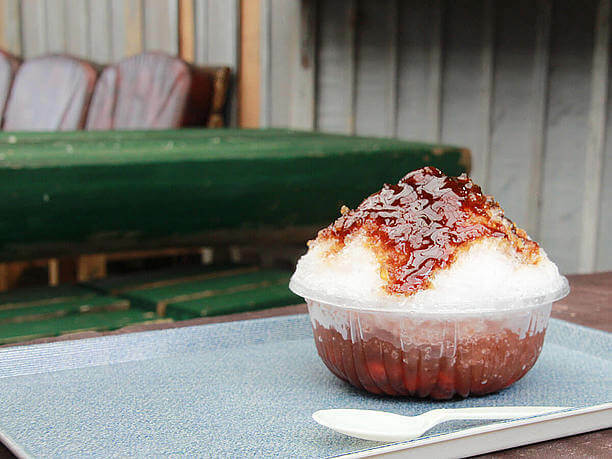 This is the “Delicious Zenzai” homemade brown sugar syrup over shaved ice with fresh Okinawa beans and rice dumplings. 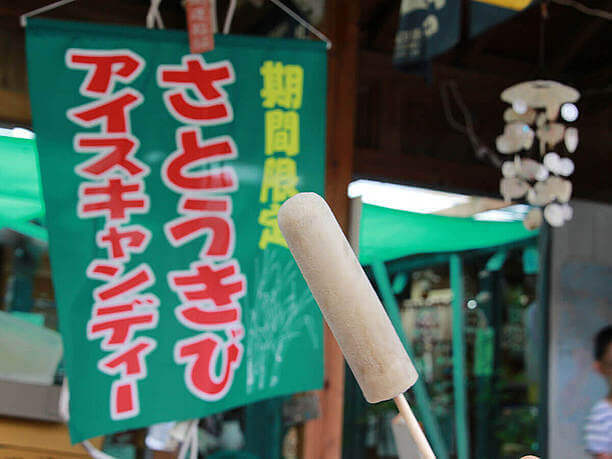 There are 4 kinds of this treat available for 100 yen each. Choose one and enjoy it on the outdoor terrace. Something more for the tourist! It is connected to the hotel so many of the guests use these baths. Adult price is 600 yen. It is open from 12 noon. 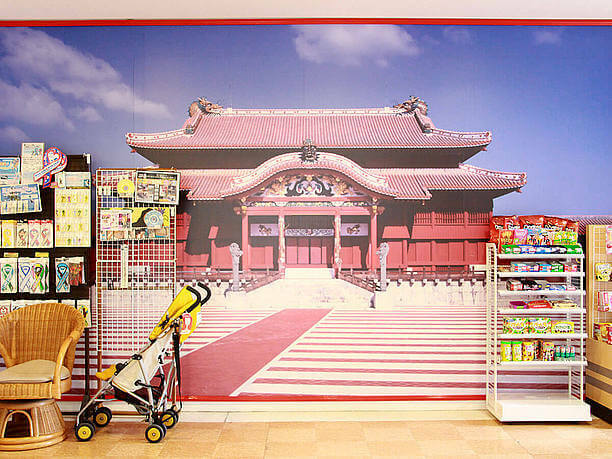 After you take a bath plan on going to the hotel lobby for a commemorative photo in front of the huge Shuri Castle (首里城) pictures hung there. So even if you don’t make it to the real castle at least you can have a picture that looks like you did. Located on the grounds is the “Hotel Murasaki-Mura”(HOTELむら咲むら). 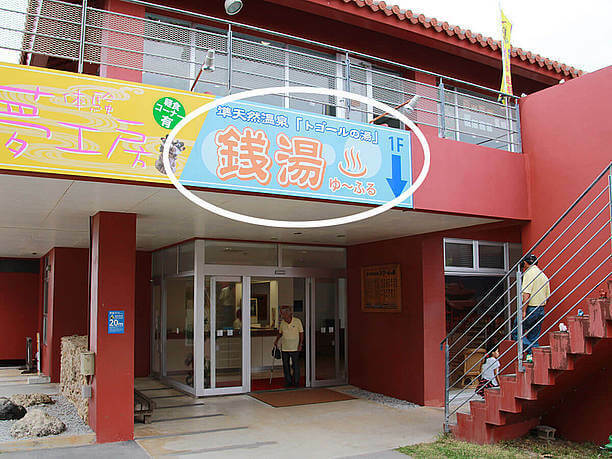 This facility was transferred to the Yomitan-Son after the shooting of the drama ended. 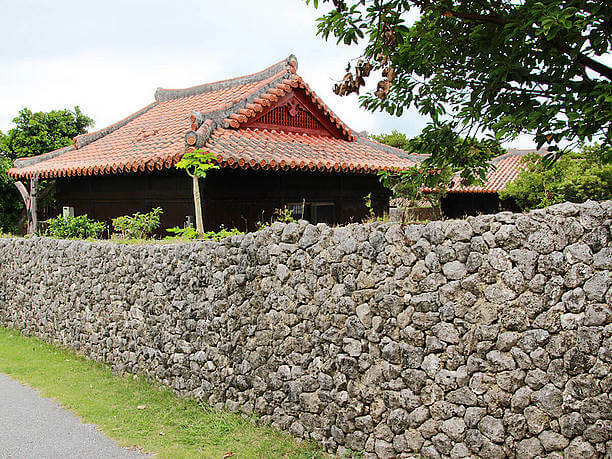 It is now a tourist destination with Ryukyu style wooden red-tiled buildings with a restaurant called Janai-Tei(謝名亭), hotels and a public bath. 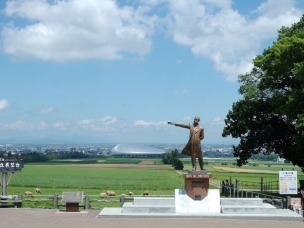 This tourist spot is in Yomitan Son is 5 minutes by car from the Zanba Cape. which is a famous sunset spot. Experience the Taiaenoh-Mursakimura’s restaurant Janai-Tei located on-site. It serves Okinawa Soba as its main item. 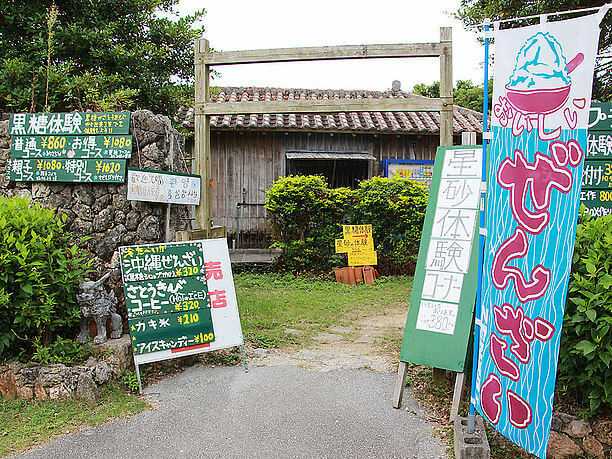 It also has local Okinawa cuisine (including Okinawa fried noodle) and Western style taco rice. The restaurant has many seats so you can come with a big group. 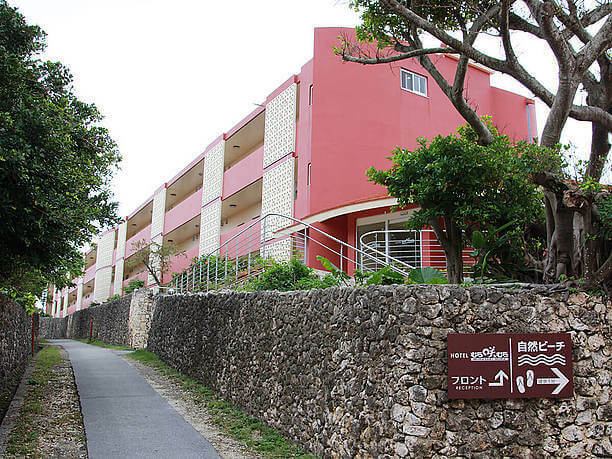 The Facility is located near the "Gala Blue Sea" (Gala青い海) building where inside is "Oceans Pizza" (オーシャンズピザ) with all you can eat pizza. The weekend is very busy. If you just walk around the park it will take you about 15 minutes. If you take more time exploring it will probably be more like 60 minutes. 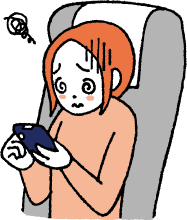 If you participate in the experience menu (depending on the content) prepare to spend at least 2 hours.